If you enjoy performing then this is a great opportunity for you - a chance to perform in one of Disneys parks and to explore Disneyland! We would like to hand this opportunity out to anyone who has had Dance experience, whether you are part of the school or not. We think that this is a great opportunity and we think it would be a mistake not to offer it out to the public! Anyone interested will have until the end of March 2016. Must be 5 & above by August 2017, no upper age limit. £80. Per week. £25. Per day. £15. Per 1/2 day. Broad Oak BMW teamed up with Modus Film and BSS Performing Arts to celebrate the launch of the amazing BMW i8. The best of both worlds. The BMW i8 combines the performance of a sports car with the consumption of a compact car. It boasts impressive efficiency and sustainability. Without forfeiting dynamics and its sporty appearance. No compromises, but rather the optimal combination of driving pleasure and responsibility. The BMW i8 is a plug-in hybrid that brings together the advantages of electromobility and innovative engine technology. The result is an extraordinarily dynamic driving experience – with extremely low consumption and CO2 emissions. Unit for sale. £129,950 John Wilson Business Park - approx 1900 sq foot over two levels. Excellent decor throughout plenty of free parking, ADT alarmed, Gas Central, Double glazed, Hot water, Shower, Disabled facilities a1 or d2 use. Join BSS for this years BBC children in need Tapathon to be held at BSS on Sunday 16th November. Only cost is a t-shirt and we might even break the world record and get into the Guinness book of records! Don't worry if you can't dance BSS are holding beginner lessons for adults. 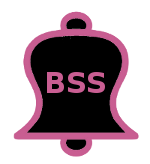 Classes only £5 per lesson and bss will make a donation for every parent with student in school that takes part. Go on join in the fun and get active! Bring packed lunch.Loads of fun things to do. Dancing, singing, acting costume making, baking, games, hair and make up. Ending the week with a showcase!